So, progress continues. 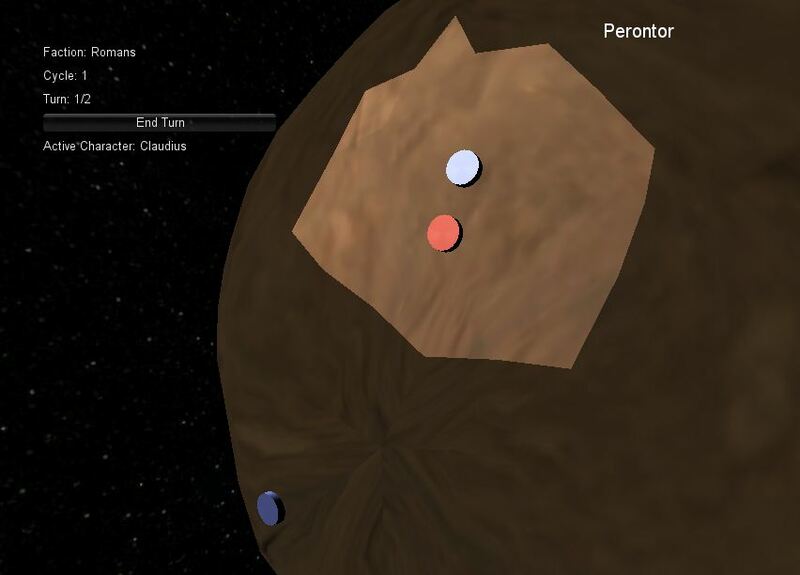 I can now attach playing chits to my planet, and have a rudimentary UI. What’s more, the camera can zoom in and out, scroll east/west/north/south. Although things got a bit funny if you orbit over the poles. Even more excitingly, you can move chits. Sure, things are a little sluggish and unresponsive, but it’s a form of interaction. allow the player to move the commanders (blue chits) and end turnif this happens.